Infertility treatment by IMSI treatment in Hyderabad improves the chances of IVF (in Vitro fertilization) and it can be used after unsuccessful of IVF treatment in Hyderabad at several times. IMSI is an alteration of ICSI technique where sperm samples are examined in the laboratory by microscope i.e. almost 6000 times more powerful to assess their morphology. We recommend IMSI if you have very less number of sperm and the high proportion of abnormally shaped sperm or proof of poor outcomes with previous ICSI treatment in Hyderabad. IMSI fertility treatment is simply made through the use of a microscope to pick out the sperm in simple and by making the use of sperm by the ICSI procedure. We provide best IMSI treatment center at fery9 hospital in Hyderabad so that IMSI helps to improve the success rate among men and it is more beneficial than ICSI in patients with 2 IVF or ICSI failures. Intracytoplasmic Morphological Sperm Injection: IMSI treatment in Hyderabad procedure is performed in conjunction with IVF. Here one egg is injected with best morphological sperm selected under high power magnification of 6000 under an inverted microscope with the use of micro-manipulator and complete characteristics of spermatozoa can be analyzed internally. If there is any tiny defects in the sperms through this Morphological Sperm Injection it can be detected. Couples with two failed ICSI cycles. Having morphology of poor spermatozoa such as abnormal shape and structure of spermatozoa can be benefited through this IMSI procedure. It may improve the chances by obtaining high success rates in couples. Out of all the cases of infertility involving a couple, around 40% are in fact attributed to male-related problems. Among the causes behind male-infertility is, in fact, a condition linked to the sperm such as lower sperm number, weak sperm quality or rather even irregular sperms. In spite of this, in instances where the sperm extracts are incredibly lower or even severely irregular, the specialists at Indira IVF recommend the selection of sperms via IMSI or Intracytoplasmic Morphological Sperm Injection, an enhanced version of ICSI. Whenever an IVF hospital in Hyderabad patient has suggested this new technique, their mind is indeed filled with apprehension, and so they ask numerous queries such as what is the IMSI with IVF treatment cost in India? Alternatively, Does IMSI with IVF work? What are in fact the benefits of IMSI? Are there any IMSI with IVF success stories? Which one is better IMSI or rather ICSI? What is IMSI success rate? Can one have a detailed IMSI with IVF cost? What is the IMSI with IVF cost in India visa vie the western countries? The IMSI is a laboratory approach used for In Vitro Fertilization remedies. Good quality sperms are inserted into the egg for fertilization; it will be a modern form of ICSI. A very high power-driven microscope is employed to pick and choose the ideal sperm cellular material that is subsequently utilized in a conventional ICSI treatment in Hyderabad procedure. It enables the sperm to be checked in more detail, which includes the nucleus which has the sperm’s genetic material. The usage of this process has led to increased maternity and delivery rates together with reduced abortion levels. IMSI is indeed an excellent option for anybody who may have rather failed IVF cycles previously. 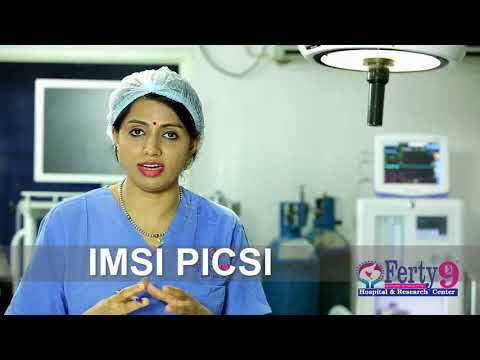 IMSI is a procedure does utilize a highly effective microscope with magnification around 6000x to analyze the sperms. The augmented digitally improved pictures of the sperm do enable the embryologist to identify virtually any structural modifications as well as any abnormality which are difficult to detect with traditional techniques. The IMSI treatment method does describe the process of the IVF treatment method which is carried out to analyze and then choose sperm utilizing a high-magnification digital imaging microscope for microinjection into the egg. This process will indeed help a fertility doctor to evaluate the composition of sperm and also rule out those sperms with alleged irregularities from getting inserted into the available eggs in a more natural way. IMSI will no doubt increase the possibilities of in vitro fertilization that can be utilized after many ineffective IVF. It is a real-time process wherein a sperm is chosen before the micro-injection does occur. After examining the sperm under sophisticated microscopes, the biologists can also observe the interior morphology of sperm and then dispose of the ones with irregularities. Higher levels of DNA fragmentation Increased levels of sperm aneuploidy is also focused upon. The quality of the egg needs to be regular. One needs to take into consideration sustained early abortions in patients wherein there exists a background of miscarriage. Over 90% of variable types in sperm one might have deficient levels of sperm, and then a high percentage of irregular formed cells.